Big thank you to Harper Collins / HQ for our copies in return for our honest reviews. Have you met them yet, the new couple? When Gav and Lou move into the house next door, Sara spends days plucking up courage to say hello. The neighbours are glamorous, chaotic and just a little eccentric. They make the rest of Sara's street seem dull by comparison. When the hand of friendship is extended, Sara is delighted and flattered. Incredibly, Gav and Lou seem to see something in Sara and Neil that they admire too. In no time at all, the two couples are soulmates, sharing suppers, bottles of red wine and childcare, laughing and trading stories and secrets late into the night in one another's houses. A novel about neighbors that turn into closest friends, that turn into more than they bargained for. Unfortunately this book just didn't work for me. I'm not sure if it's how I interpreted the synopsis or what it was exactly that just made my eyes glaze over a bit. "But those changes will come at a price..." and "shattering consequences" made me feel there was going to be some big revelation or something "dark and delicious"... and that just never happened. Did not find this dark at all. Definitely not a domestic thriller or, in my opinion, suspenseful in the slightest. A domestic fiction depicting neighborhood couples and their place in their social circles. The note on the back of the book says it best, "...novel about envy, longing, and betrayal in the suburbs." Both couples are seemingly well off and I wish just one of their kids would have had some type of normal name (or is this satire based on *rich* people naming their kids something weird and "interesting" these days?). Unlikable characters at every turn. It was like watching a reality show but never needing to grab the popcorn. I prefer to have a little more punch to my reads.. and the pace of this one was a tad bit too slow for me and felt very repetitive. I kept expecting something to happen and even at the end, I felt deflated. For those who like a bit of the manipulative middle-class family type, light on the drama, and don't need a lot of dramatic action or huge climax at the end, this would be more your type of read. Have you ever been curious about the new neighbors that moved in? I know we all have had those nosy moments of looking out the windows to get a glimpse before finally meeting them. Well, THE PEOPLE AT NUMBER 9 is about just that. 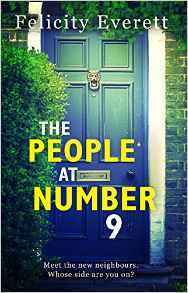 When Lou and Gavin move in next door, Sara is intrigued by how different they are an how they live that she reaches the point of obsession. Marketed as a thriller, I'd say it's more of a domestic drama. Sara, her husband Neil, and their two sons live in a nice neighborhood. Well-kept homes and friendly neighbors. 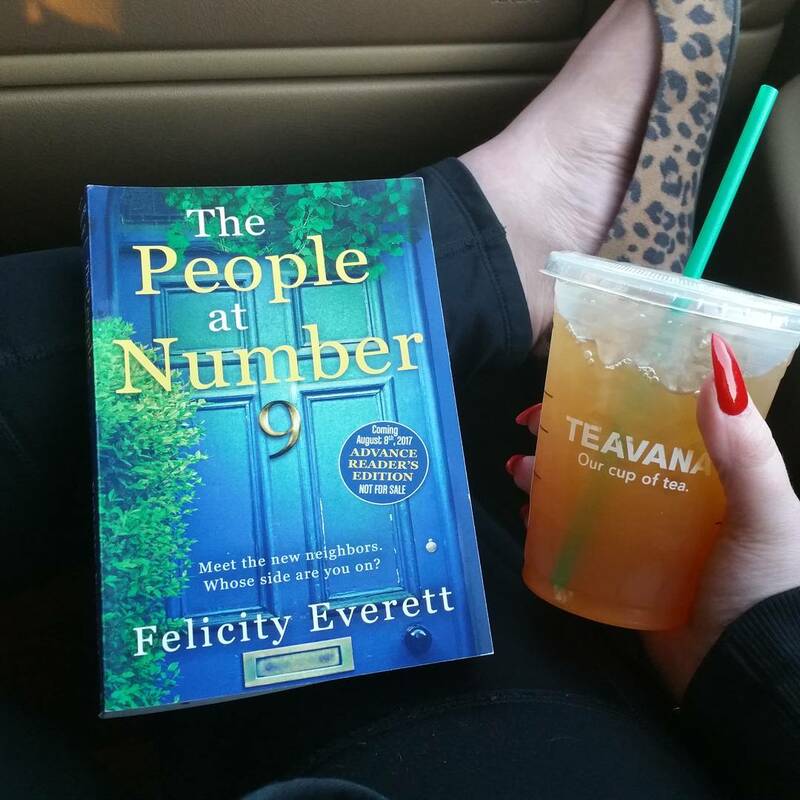 One day, she notices that Number 9 is newly occupied. After a few days she gets up the courage to go and introduce herself. She is instantly intrigued with this new couple - Lou and Gavin. They're eccentric, creative, and cultured - they live in a way that is much different than what Sara has become accustomed. Once they become close friends, they spend more and more time together, but after some time it begins to feel like a one-sided friendship.This is when the resentment and obsession begin to creep in. This is incredibly different than what I was expecting from this book. I think that it was marketed wrong - this definitely isn't a thriller. There's a lot of character development within the events and there's this darkness that begins to consume the story. 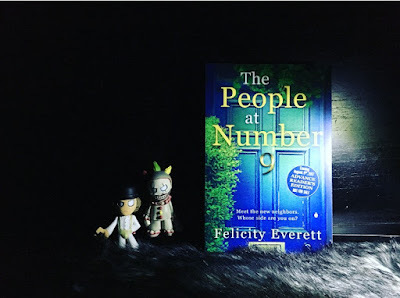 Felicity Everett perfectly captured these characters and made them human - I can honestly say that I found myself thinking of people I knew reflected in some of these characters. By no means is this a gripping thrill ride, but it's a very well-written story about the interactions between neighbors and the hostility that can build up. So if you're looking for an edge-of-your-seat thriller, then move along. But, if you want a domestic drama that has incredibly life like (and not always likeable) characters, then this is the book for you! Once I got over my anticipations for this novel, I was drawn in and couldn't stop reading. I needed to know how this would play out between Sara, Neil, Lou, and Gavin. I can see this one being divided when it comes to readers that like and dislike it! I give this compelling read 4/5 stars!